The mysterious East beckons the Western man with its traditions, cultural features, magnificence of dresses and ornaments, and the beauty of women. 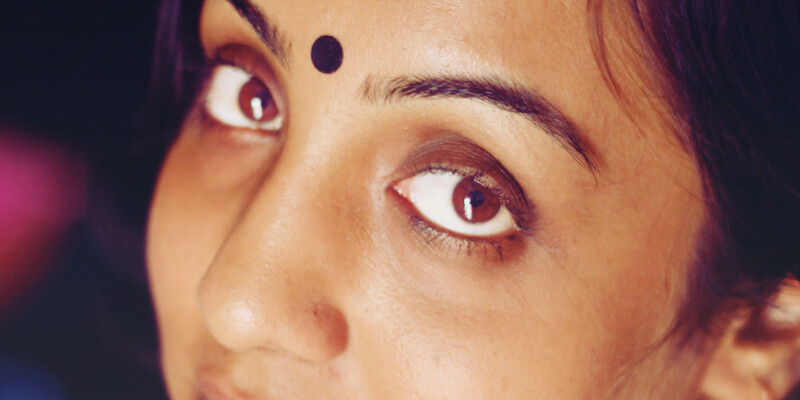 Here, for example, the point on the forehead of Indian women, called bindi, is one of the secrets that attracts us, and sometimes just does not give us rest: why do Oriental women apply this mark? What is this: an unusual decoration or a way to convey some important information to others? Today, bindi is a popular ornament not only among Indians, but also women from other countries, and a traditional spot bearing a certain meaning. Today, it is not known exactly when the tradition appeared to paint a color spot on the Indian's forehead, but, unequivocally, it appeared long ago. If we consider Bindi from the point of view of the cultural heritage of India, we should know that, first of all, the point of red color traditionally adorns foreheads of married women. It is especially interesting what meaning the Indians themselves put in bindi. The very word "bindi" from Hindi is translated as "drop", "point". There are also other names: teak, kumkum, candra, sindor, tilakam, potte. Traditionally, it is painted in the center of the forehead between the eyebrows in the area of the so-called "third eye". Bindi is a type of tilaka. Can be of different sizes, shapes (but most often - round) and colors. The most traditional option is a round or drop point of red or burgundy color. In Tantrism, it is believed that putting the bindi in the area of the "third eye" means hidden wisdom, since this part of the forehead is the symbol of the "eye of Shiva." Another version of the interpretation, closely overlapping with the previous one. In the center of the forehead is the sixth chakra (Ajna), in which the entire human experience is located. According to tantrism, when the process of thinking occurs, the latent energy (kundalini) moves from the spine to the head, passing through the sixth chakra. Bindi paint to save that energy and accumulate wisdom. Bindi can still be translated as "full moon" or "full moon". This mark protects its owner from evil spirits and evil eyes. Putting a red dot before, and today - the prerogative of a married woman. So she demonstrates her social status, and bindi is called to give prosperity, happiness and tranquility in the family. If a woman is widowed, she does not do bindi at all, thereby showing that she no longer has a husband. In ancient times it was even possible to judge the caste belonging to the bindi. For example, on a black dot on a woman's forehead, a woman could be recognized as belonging to a kshatriya, and on a red one to a brahmana. Today the application of bindi is not only a tradition, but also an original decoration. You can find dots on the forehead and red, and yellow, and golden, and blue. Now fantasies have no limits.